In the year 1607, when a prince of the royal Mughal household strolled down the Meena Bazaar, accompanied by a string of fawning courtiers, he caught a glimpse of a girl hawking silk and glass beads. Five years and a wife later (in those days princes did not marry for love alone) the regal 20-yr-old went to wed his 19-yr-old bride. It was a fairytale union from the start, one that withstood court intrigues, battles for succession and finally, the grand coronation. And when she died on the 19th year of their marriage, he etched her story in stone. 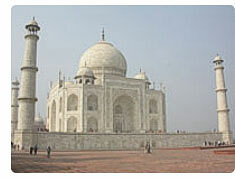 The Taj Mahal is the living symbol of the monumental passion of Shah Jahan and Arjumand Banu. Taj Mahal built by a grief stricken Emperor Shah Jahan as a memorial to his beloved wife Mumtaj Mahal. The Taj Mahal has a structural elegance and pristine beauty that has been rarely matched. It took 20 thousand men nearly 22 years to build the mausoleum and the finest of skilled artisans were brought in to inlay the white marble edifice with precious stones and to conjure filigreed marble screens around the centaphs of the emperor and his beloved queen. 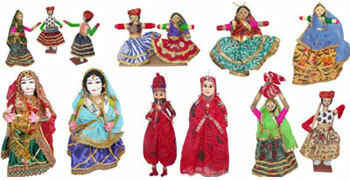 There is a jewel-like quality about the Taj Mahal. Located at the city of Agra in the State of Uttar Pradesh, the Taj Mahal is one of the most beautiful masterpieces of architecture in the world. Agra, situated about 200 km south of New Delhi, was the Capital of the Mughals (Moguls), the Muslim Emperors who ruled Northern India between the sixteenth and nineteenth centuries. The Mughals were the descendents of two of the most skilled warriors in history: the Turks and the Mongols. 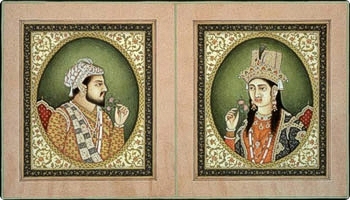 The Mughal dynasty reached its highest strength and fame during the reign of their early Emperors... Akbar, Jehangir and Shah Jehan. "Every Tourist of the world must visit Taj Mahal at least once"